Nowadays, the aesthetic component of a device is very important for many users, who want to own not only a powerful device, but also an elegant and beautiful one. 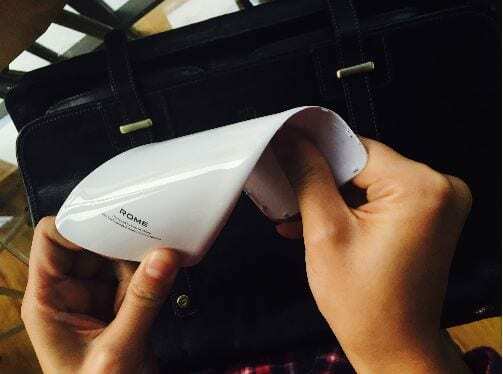 For this reason, UMi has become aware of the importance of design, so they have paid painstaking attention to the appearance of UMi Rome, its new mid-range device. UMi uses the Glass-ABS to produce the back shell of ROME. The company says after applied, it result to a incredible flexible but strong, as you can see from the picture. 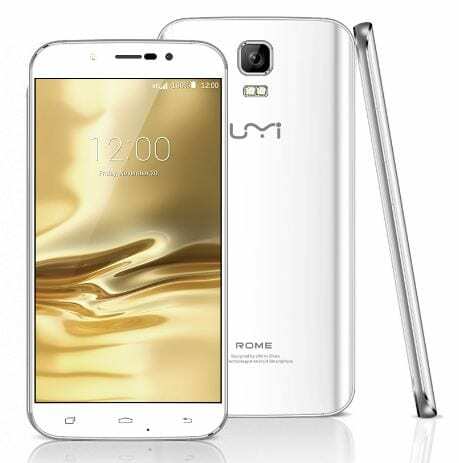 The UMi ROME prics at $109.99, feature 2.5D 5.5inch HD screen with 720 x 1080 resolution. The MediaTek MT6753 SoC that powers the phone, comes with an octa-core CPU. 3GB of LPDDR3 RAM is inside, along with 16GB of expandable native storage. The camera combo from back to front weighs in at 8MP SONY IMX179 and 13MP implant/ 5MP, and a 2500mAh battery with Ultra-power saving mode keeps the pistons pumping. Android 5.1 is pre-installed.